​Click for April's Board Notes. Join Us to Discuss the Future of Education. 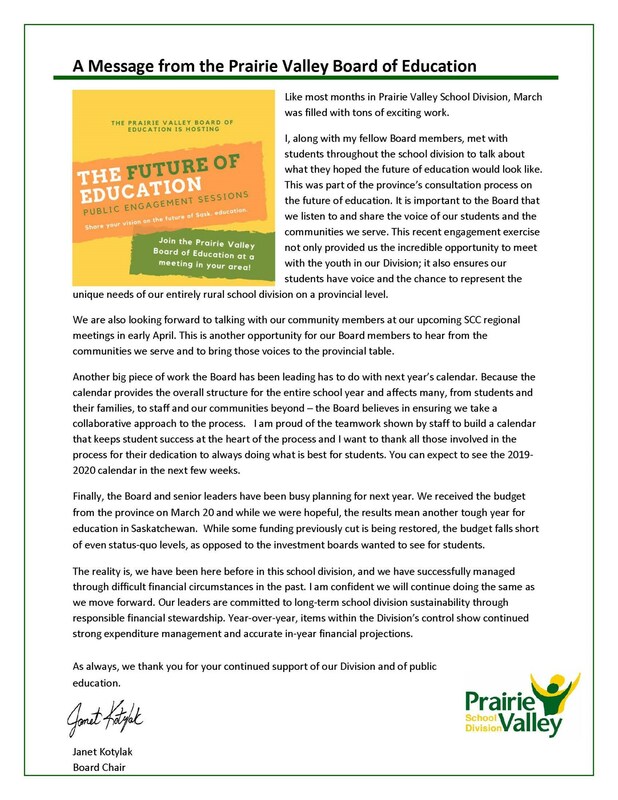 The Prairie Valley Board of Education is seeking input from the public on the future of education in Saskatchewan. ​Click for your March Board Notes. Click for the February Board Notes. ​ Click here for a summary of the January 23 regular Board meeting. Throughout January, Prairie Valley school social workers and counsellors are hosting free parent and community information nights around the division to talk about youth suicide awareness and prevention. Suicide is the second leading cause of death among school-age youth. However, suicide is preventable . 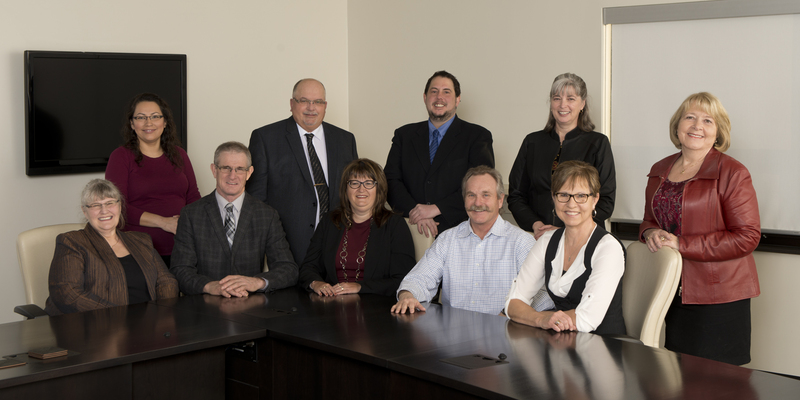 Every month, the Prairie Valley Board of Education comes together to make decisions that impact students in this Division. After every meeting, a summary of Board decisions and discussions is compiled for you. For what happened at the last Board meeting, go here. 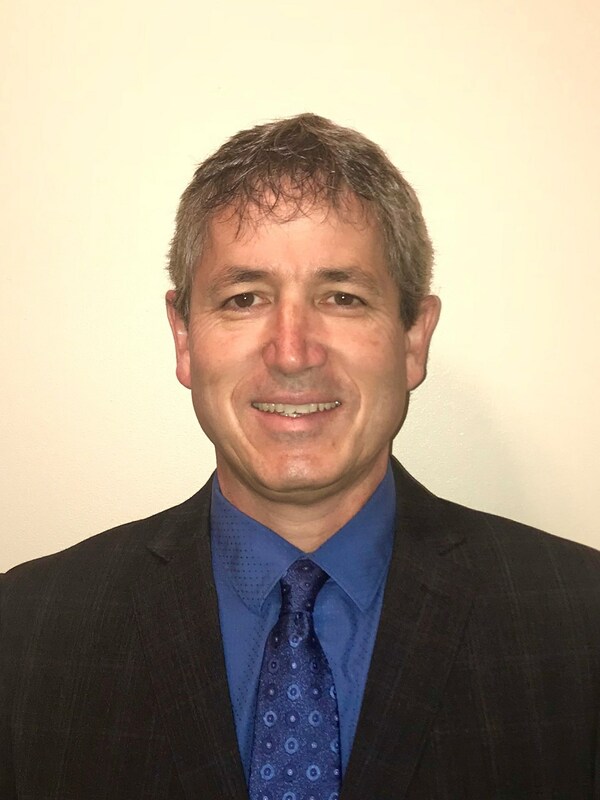 Prairie Valley Board of Education announces the resignation and retirement of Ben Grebinski, Director of Education/CEO, effective September 30, 2018. 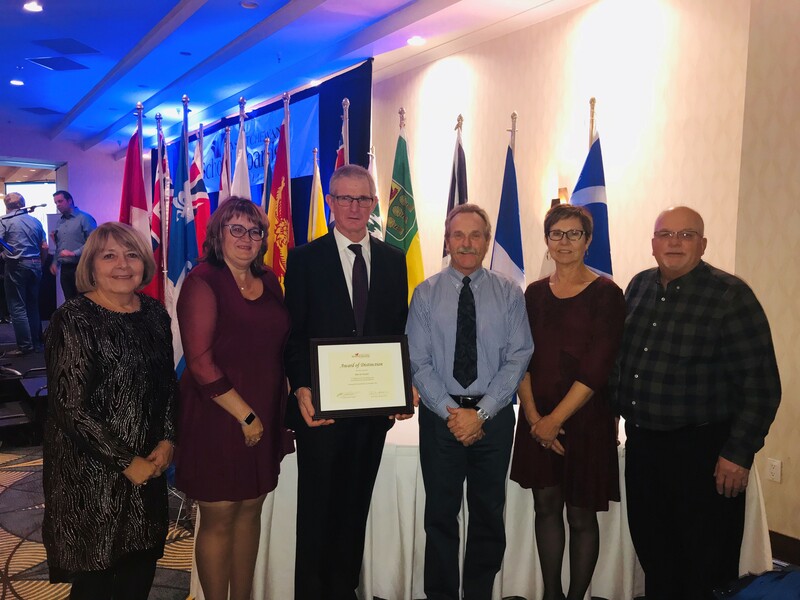 Read more about how the Board commemorated those lost in the tragic bus crash involving the Humboldt Broncos, plus information on the school calendar, attendance area changes, what the Board thought of the division building a social media presence, and more. ​Click here. Each fall, the Board of Education hosts senates to hear directly from students about issues that matter to them. This year we created a video to capture how students felt about the day. Also, you can click here to read more about what the Board heard from students. ​Click here to read the new Community Report. UPDATE: At t he J anuary 24, 2018 meeting, the Board decided not to proceed with the further review of Edenwold School. Click here to read the new four-year strategic plan. ​While the Ministry of Education has changed its funding for transportation services, there are no changes to transportation service delivery in Prairie Valley School Division. All students currently transported to schools within a community, will continue to receive transportation. Pause, Prompt, Praise – This brochure provides strategies for reading at home with your children. Prairie Valley School Division recognizes Teacher and Staff Appreciation Week. In honour of Teacher and Staff Appreciation Week, we want to say Thank you for everything you do. The selfless contributions of our 1,100 staff members truly make a difference for students. ​Le Francais, un cadeau pour le vie! This year's theme for French Second Language Education Week reminds us that learning a second language can be a gift for life. Prairie Valley School Division recognizes this important education week. ​ The professional library is moving from its current location in Wolseley, to the Education Centre in Regina. The library will be closed from November 8 – December 9, 2013. The last date to order resources from the library is Friday, November 1 . ​The school year calendar for 2016-2017 is posted at http://www.pvsd.ca/Schools/SchoolCalendar/Pages/default.aspx . The calendar is similar to past years with 191 days and 950 hours of instruction. Students are scheduled to return to school on Thursday, September 1, 2016. Further to our review, the Vibank and Sedley Attendance Areas will remain unchanged. Click here for more. Available at École White City School (Kindergarten to Grade 7) and Lumsden Elementary School (Kindergarten to Grade 3). For more, review our notice , Qs and As and brochure . 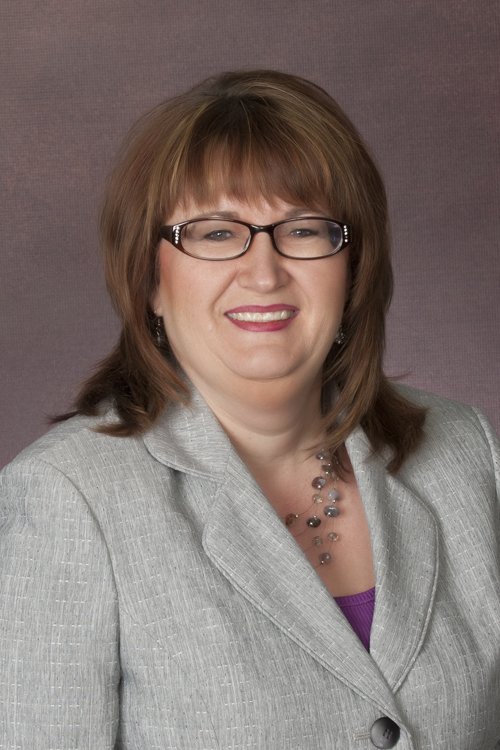 ​ Prairie Valley is celebrating its 10 th year as a school division. As we look towards the future, we are seeking input on how parents of various communities perceive the local high school. Please complete the 360 Survey between March 2 and March 16, 2016. This weekend Prairie Valley made football history with four championship wins! During the SHSAA Football Finals Prairie Valley teams, the Kelliher/Ituna Trojans, Lumsden Devils and the Indian Head Broncs all won championship gold medals and North Valley High Eagles won a championship silver medal. The Saskatchewan High Schools Athletic Association adopted a new transfer policy at its Annual General Meeting in June 2012. Please click here to view the new transfer policy document. Due to weather conditions, the March 4, 2013 School Community Council Regional Meeting in Whitewood has been postponed. A new date will be set in the near future and communicated to all area School Community Councils. We apologize for any inconvenience. Top Ten Reasons PVSD students love reading! The Grades-at-a-Glance tool is a way for parents and guardians to learn more about the specific subject areas studied by the students in Grades 1 – 9. Check it out by clicking here! 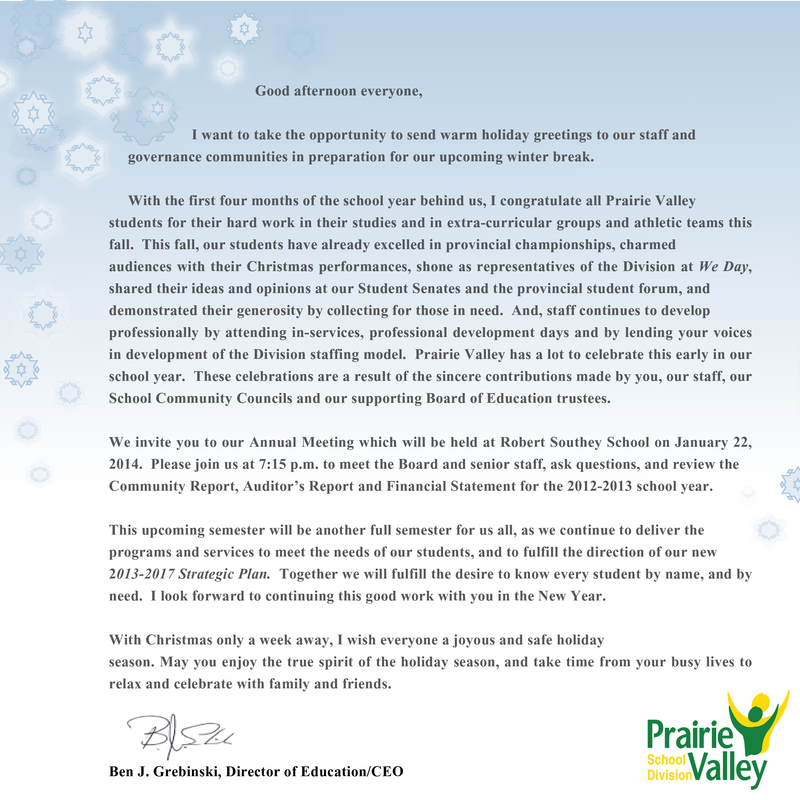 ​All classes at Prairie Valley schools will resume on January 7, 2013. Mr. Esplin and Mr. Thauberger are both new to the Board of Education. 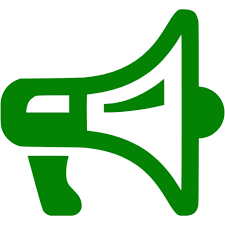 Please be advised that the Parent Engagement Conference scheduled for Saturday, November 17, 2012 at Indian Head High School has been cancelled due to low registration numbers. We apologize for any inconvenience. ​Prairie Valley School Division will be celebrating Education Week with a variety of activities and events at schools across the School Division. ​An information and consultation session about Phase 2 of the Kipling School Renovation and Consolidation Project will be held Monday, February 6, 2012 at Kipling School, starting at 7 p.m.
Prairie Valley School Division has redesigned its public website, giving it a new look, adding new features and improving content. Celebration Items are presented to trustees at Prairie Valley School Division Board of Education meetings. The Board of Education for Prairie Valley School Division has voted in favour of a motion recommending the Government of Saskatchewan designate White City School as a French Immersion school.